Easter doesn’t end on Easter Sunday. We celebrate the Easter season for 51 days (7 weeks and 2 days), starting on Easter Sunday and ending on Pentecost. 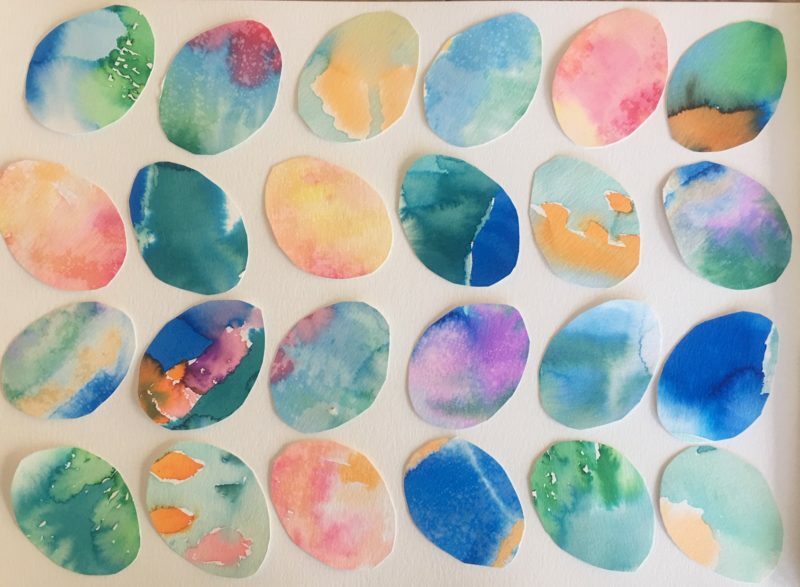 Invite your children to create Easter cards for family and friends by recycling old paintings and drawings, cutting them into egg shapes, and creating something entirely new. Eggs are a symbol of new life. We celebrate new life at Easter. Randomly cutting through something previously painted produces an interesting and lovely result. 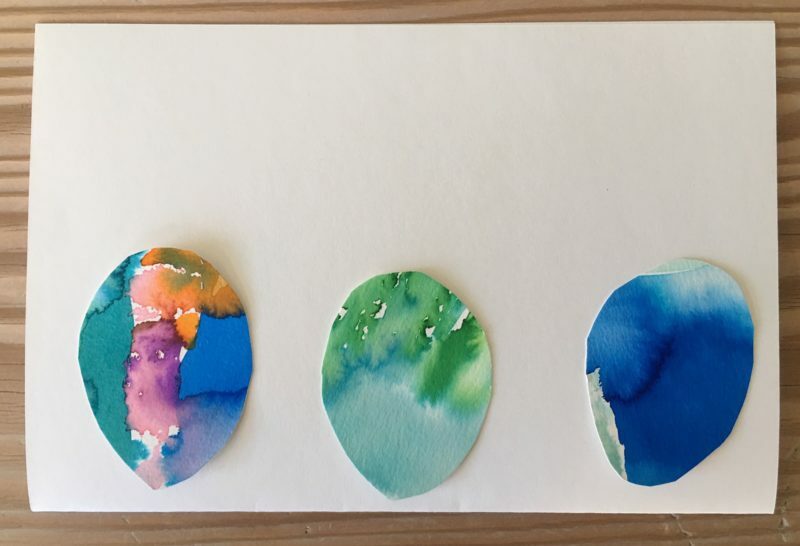 Your children can have fun making cards or Easter art throughout the beautiful Easter season. Happy Easter! 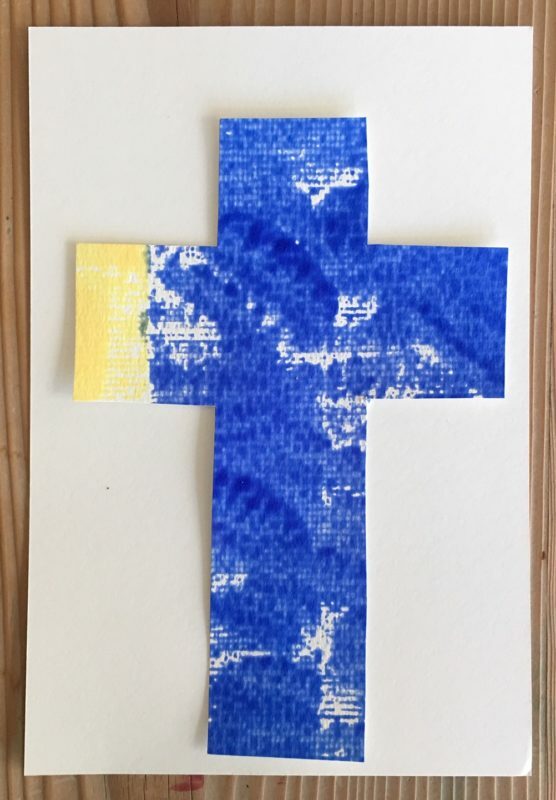 Collect old paintings your children have made that can be recycled and reused for this collage project. 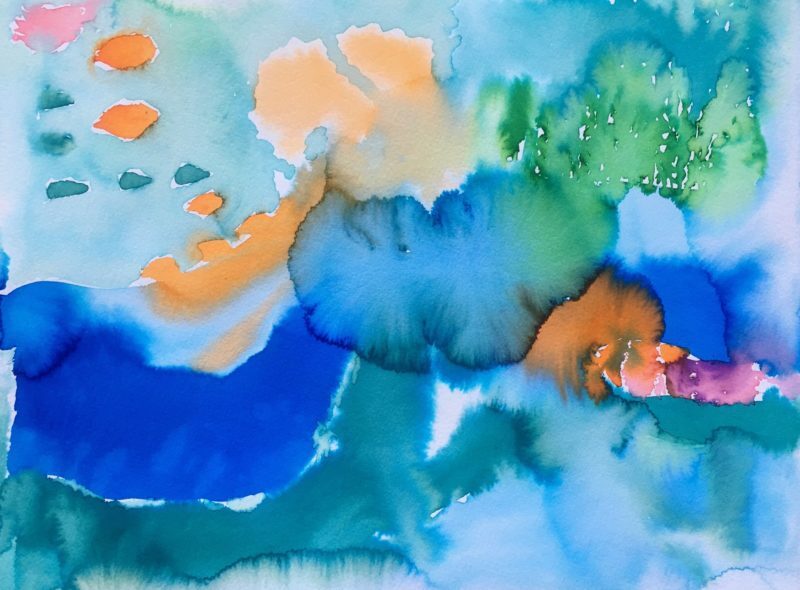 If they don’t have an such art projects, paint a couple of new paintings in any abstract design with watercolors. 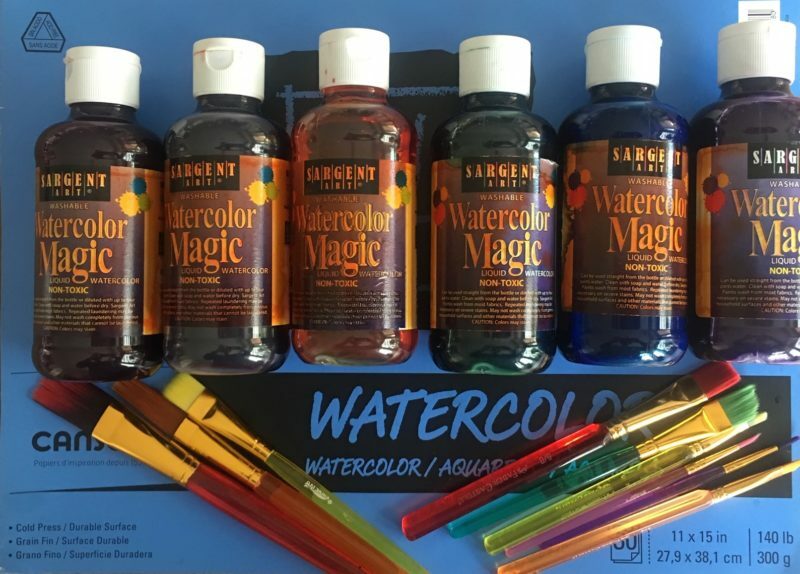 Use any type of watercolor. 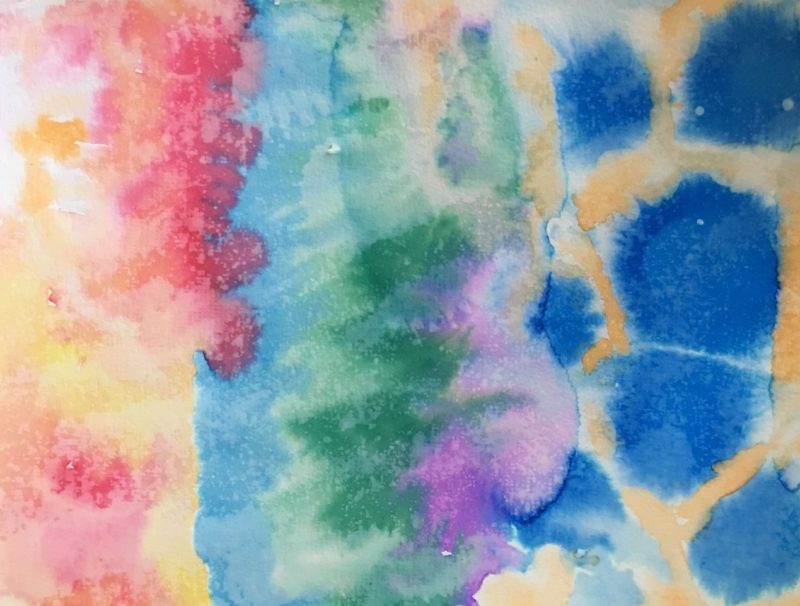 The art below was painted with liquid watercolors. 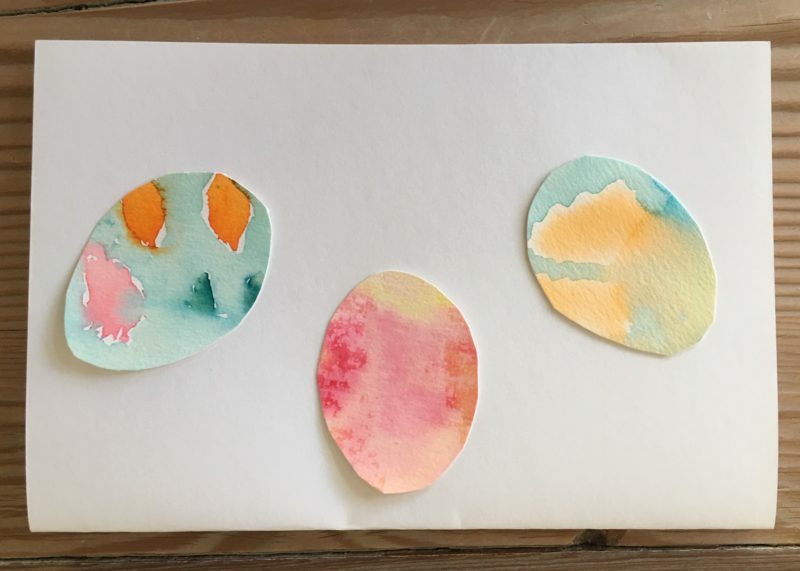 Always use watercolor paper for best results. Paint. Let dry. 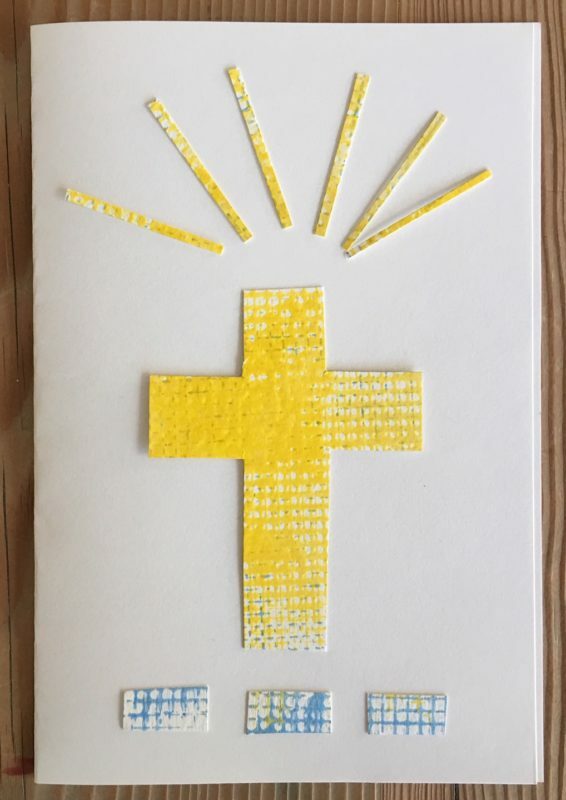 Cut into egg or cross shapes. 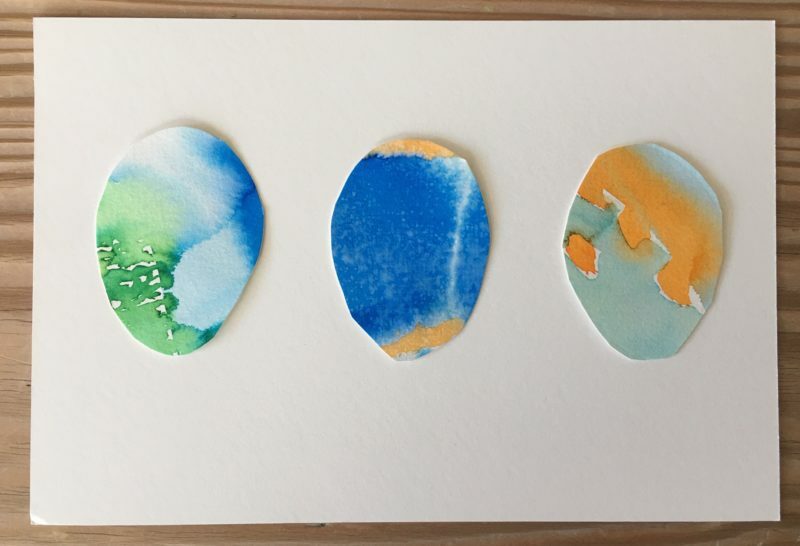 (I spied a small egg-shaped avocado on my table and traced around it for my template!) 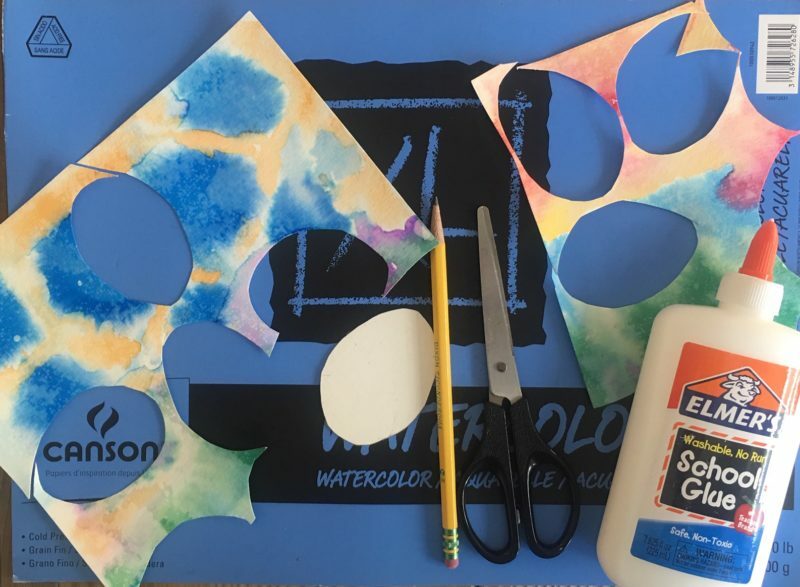 Glue onto another piece of watercolor paper or sturdy paper. 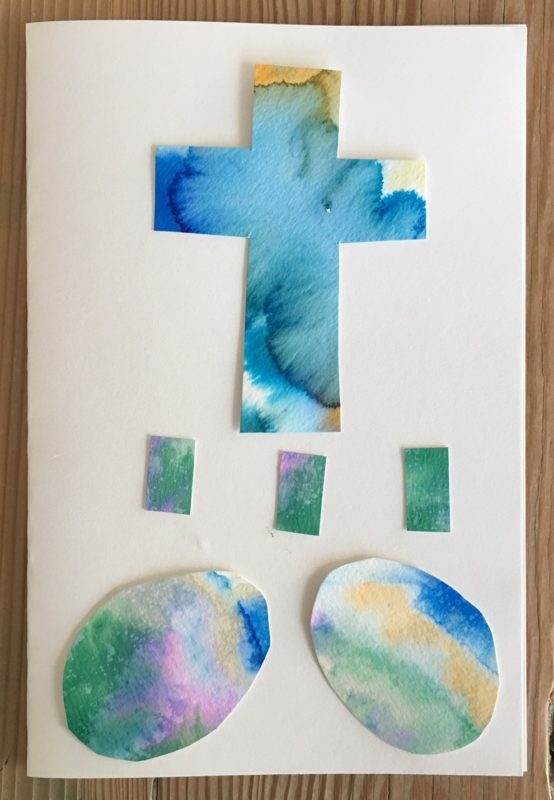 Children can use any type of writing instrument to add names and a message, such as, “Christ is Risen”, “Happy Easter”, “Alleluia! Alleluia!”. Experiment cutting out shapes and glueing them onto a painted background, too. This is a fun project that can be done easily and joyfully!